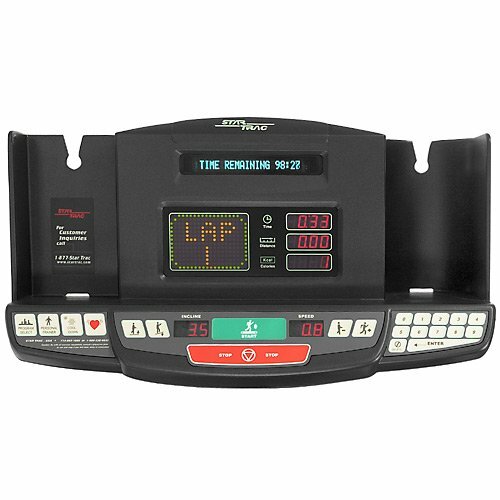 User-friendly Quick Start feature plus 10 pre-set programs including ACSM WalkFit Test. Personal Trainer StudioTM to create and save custom programs. Convenient holders to keep towels, water bottles and personal stereos in place. Patented Impact Absorption System® features dual-cavity, high-density neoprene cushions along both sides of the deck. Cushions impact on the ankles, knees, hips and back for a lower-impact workout and hushed stride. Two easy-to-reach stop keys, including one on the console and an emergency stop button on the handrail. 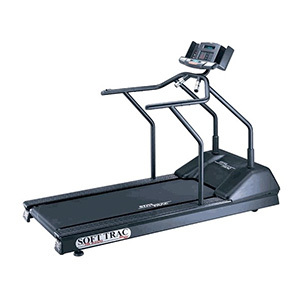 All Star Trac treadmills have a “soft start at zero” feature so the treadmill starts at 0 mph and gradually increases to 0.5 mph. Clearly marked logo on the belt makes its motion easily detectable. Low step-up height. Standard full length hand rails.